Monarch Air Group provides private air charter in Abbotsford, BC, Canada. Our clients benefit from top-notch service, unrelenting dedication to safety, wide selection of aircraft, and years of experience in chartering private jets. To obtain a free quote, please use our online quoting tool provided below, or call toll free 1-877-281-3051. 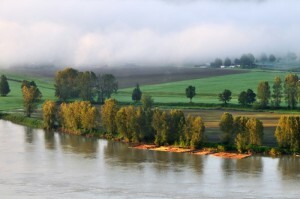 The Canadian city Abbotsford is located on the south bank of the Fraser in the Fraser Valley of British Columbia. Abbotsford lies 47 miles east of Vancouver and 4.5 miles north of the Canada – United States border. It is the fifth largest municipality of the British Columbia. Lately, the city has prospered as a regional centre of the Fraser Valley. Abbotsford supports a significant role in various ranges of industries, such as industry, agriculture, business, retail, and government services. Named the “City in the Country” it is also a homeland to the Columbia Bible College, the Trade and Exhibition Centre, and the University of the Fraser Valley. Abbotsford has rich history, natural beauty and tranquility of mountain country with urban atmosphere and friendly country living. The most popular Abbotsford’s sights are the Clayburn Village, the Castle Fun Park, the Fraser Valley Trout Hatchery, the MSA Museum, the Rotary Stadium and Track, the Abbotsford Entertainment and Sports Centre, the Mill Lake the Lotusland Vineyards, and some others. The perfect place to enjoy shopping boutiques in charming heritage setting is Historic Downtown Abbotsford that offers various events and festivals, excellent dining, and street cafes. The most prominent events and festivals are the Agrifair and Trade Show, the Abbotsford International Airshow, the Abbotsford Berry Festival, the Abbotsford Multicultural Festival, and the Abbotsford International Music Festival. The city is served by Bellingham International Airport (BLI), Chilliwack Airport (YCW), and Abbotsford International Airport (YXX), which provide private charter services to leisure and business travelers around the world.